2019 Events You'll Find TNL at either riding, running, or promoting our organization. 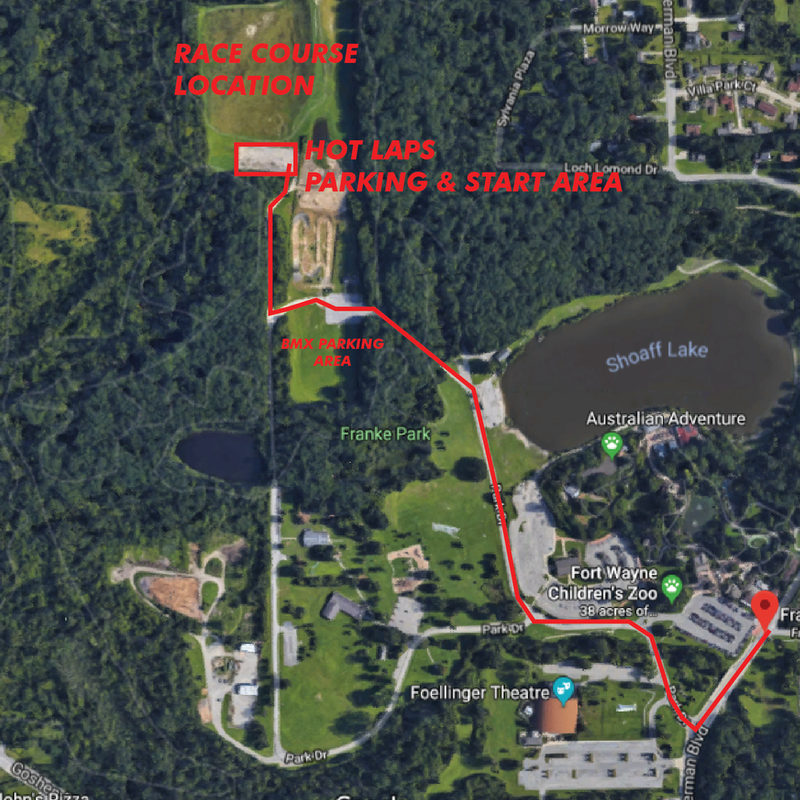 "Hot Laps" Short Track MTB Series at Franke Park is coming back for 2019. Mark your summer Tuesday Nights down and get ready to experience the thrill of short track mountain biking. Short Track racing, which has also been called “dirt criterium,” has riders race at a high intensity pace on a 1-2 mile closed course for 20 to 30 minutes. The first to finish the predetermined number of laps, wins. The course weaves up and around the Derby Hill area at Franke Park. We will plan to have 2-3 different courses over the 6 weeks again this year. We have a variety of categories, two race waves, and even an old school cross country running events each night during the 6-week series. JUNIORS (14 & under) race FREE. So, get your kids out and come race. The Junior categories are designed for kids that have a bike with gears, can ride a mile on uneven terrain and are comfortable in a race format. Your younger kids are welcome to bring their bikes to ride the course in-between races or around the area as long as they’re supervised. We want to create a fun and safe family vibe. We promise it will be worth $10 a race and the drive. TNL works hard to make sure to create experiences worth showing up for. On-site registration available at 6p. Close 10min before race. Racing subject to trail conditions. (Heavy Rain/Lightening) We will communicate and give as much notice as possible. Points Series for all categories. Fun challenging course for all types of riders. Expect an A and B line on each lap. Just MTB's, sorry cyclocross friends, gotta throw on the big tires for this one! Great family event, easy to watch from anywhere on course. Hangouts before, during, and after the event. We have around 8 volunteer opportunities each race that include course monitoring for safety, registration and check-in, and timing/scoring. Plus, if you love to grill food, we could use a grill master! Makes communication day of event that much easier. We're trying to break volunteering down in shifts/responsibilities to make it easy on all of us and share the burden. You're hanging out anyway, might as watch or help out! The Team NeighborLink "Night Moves" Running Series is a unique running series that focuses on creating community while running on non-traditional routes through Fort Wayne neighborhoods and prominent areas of town. 2019 will be our 5th year hosting these runs. We recently made the decision to change the format slightly for the entire series by making the series FREE. In an effort to enhance the experience of what is "Night Moves," we want to focus on creating a fun environment without the barrier of cost. Here’s the deal though, we ask that you pay what you want in the form of a donation if you had a great experience or find value in the work we’re doing at NeighborLink. 100% go to funding projects like wheelchair ramps, roofs, and a whole lot of other home repairs. Think about joining 75-80 other runners for a late night (9 & 10pm start time) run in the downtown area of Fort Wayne. Each run/race is a 3-4 miles route or a mini-marathon relay. We have bike lead-outs and volunteers at every turn to show you the course at each race. It's an unsanctioned, unofficial run/race with the focus on running for the pure joy of it. Each route is unique and incorporates the roads, alleys, and back ways that are rarely taken. At Team NeighborLink, we like to do events that no one else is doing for the sake of connecting to the athletic community in a unique way while drawing some attention to the non-traditional work we do at NeighborLink Fort Wayne. If you end up joining Team NeighborLink by the end of an event or series, even better. Have a search through our Blog page to see pictures and read race recaps from 2015-2018. Each Race is Exclusive to First 75 Runners or 20 Teams in a relay. Runner Check-In - 45min before race start time. Races are Rain or Shine Unless Lightening is Present - We will communicate the best we can. 100% of proceeds go to funding NLFW.org Projects for neighbors in need. Race course remains secret until just before race. TNL Volunteers lead the run via bicycle for lead runners and are stationed with flashlights at each main turn. Come ready to hang out post-race. Each race is at a location that encourages hanging out. Course is an out and back format, which makes it fun to see where competition is and easy to manage and keep safe.